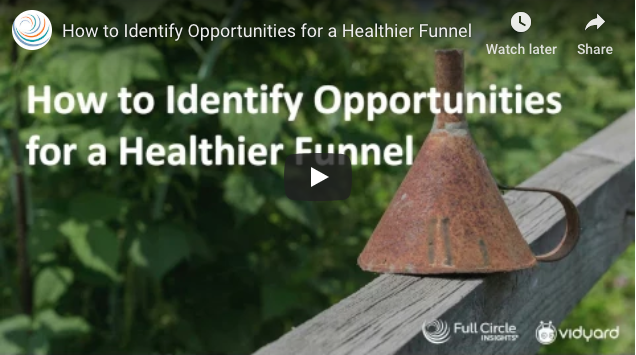 The health and effectiveness of your marketing and sales funnel is the backbone to your organization’s health. If leads are stuck at a certain stage and not progressing, you’ll never reach the bottom line growth you’re capable of. But where are they stuck? And what’s holding them back? YES, I'd like to receive occasional email updates from Full Circle Insights.